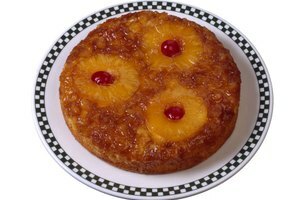 Certain cakes rise less than others and can nearly fill the pan. 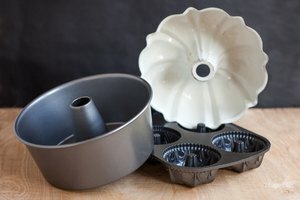 For example, Flo Braker, author of "The Simple Art of Perfect Baking," notes that when baking her rehrucken cake, the batter should be filled to within 1/4 inch from the cake pan's rim in order to prevent spilling over during baking. 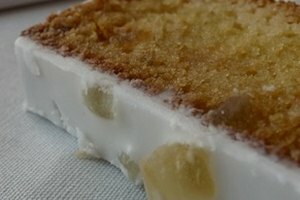 Most cakes will rise a fair amount, so you should leave space for expansion. Yiu Hui, author of the Handbook of Food Science, Technology and Engineering, says filling cake pans half full should be a general rule or standard. Hui also suggest that width and depth be taken into account for the best results. 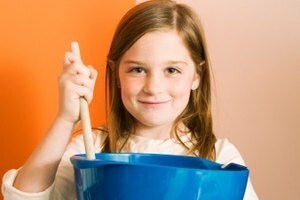 Because most cakes rise during the baking process, it is a safe practice to leave some room for rising when pouring batter into a cake pan. Whether 1/4 inch from the top or half full is a matter of preference and recipe.